You’ve probably heard that “when life gives you lemons, make lemonade”, right? Well, I haven’t made anything with lemons this time – which is pretty unusual for this blog – but the saying fits perfectly here. Working with a mixer fitted with the whisk attachment, beat the eggs and sugar until pale and thick, 2-3 minutes. Add the honey and vanilla and beat well. Using a rubber spatula, fold in the dry ingredients and the praliné. When they are incorporated, fold in the butter. Press a piece of plastic against the surface of the batter and refrigerate for at least 3 hours or for up to 2 days (it will firm up quite a bit). Preheat the oven to 200ºC/400ºF. Butter 12-full size madeleines molds, dust the insides with flour and tap out the excess. Spoon the batter into the molds ¾ full – don’t worry about leavening the batter, the oven’s heat will take care of that. 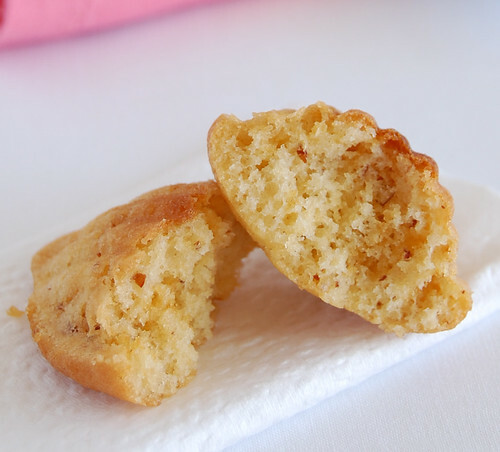 Bake for 12-14 minutes or until madeleines are golden and the tops spring back when touched. Remove the pan form the oven and release the madeleines from the mold. Line a baking sheet with foil and brush it lightly with oil. Set aside. Combine the sugar and almonds in a heavy saucepan. Place over medium heat to begin melting the sugar. Stir occasionally with a wooden spoon so the sugar melts and caramelizes evenly. Cook to a light amber color. Scrape the praliné from the saucepan and spread it about 6mm (¼-inch) thick onto prepared foil. Let cool to room temperature for about 10 minutes. Break the hard praliné into about 3.5cm (1 ½-in) pieces, place them in a bowl of a food processor and quickly pulse until finely ground. Almond madeleines look delicious! soft and spongy! We're huge madeleine aficionados around here, but I get stuck in a rut. Thanks for the inspiration! Oh wow you and your madeleine creations!! These look truly amazing. Ooh, what a good idea! 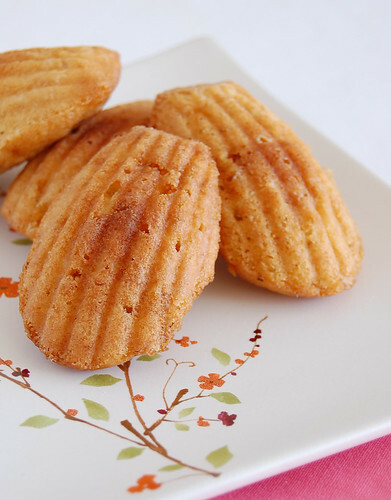 You come up with some of the loveliest madeleines. Oh, sorry about the macarons, but a bite of these would surely make me forget about them :) Look at those perfectly shaped beauties! 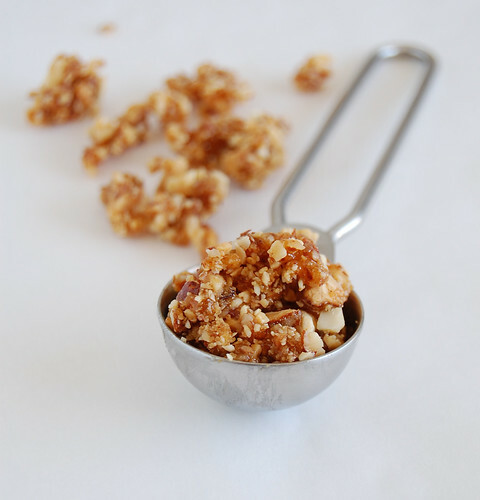 Great save with your praline! Beautiful! I love pralines. Any recipe that includes them is a winner in my opinion. Parita, they were soft, indeed! Tks! Hi, beautiful! Hope you and the kids like it! Anna, I'm glad to hear that, tks! Risa, I'm a sucker for all things praline, too. I'm glad to know you like the madeleines, tks! I love the idea of adding crushed praline to the batter, they look fantastic! I always break these little madeleines and the morning breakfast, I love the tea. Passe un bon week-end et à bientôt! Yes, snap on the madeleines indeed! :) I LOVE the praline idea. Just perfect, perfect. Beautiful looking cakes. Well done! WOW! They sound divine and looks so light. These look wonderful! I made some regular madeleines a while back and thought that they were a bit plain. But madeleines with almond praline sound divine. Your madelines are always so beautiful! these will be perfect for my morning tea!! those look tasty but I love how cute your plate is even more! Madeleines are always so elegant. I love the flavours of this one! I love the recipe and the twist on it.